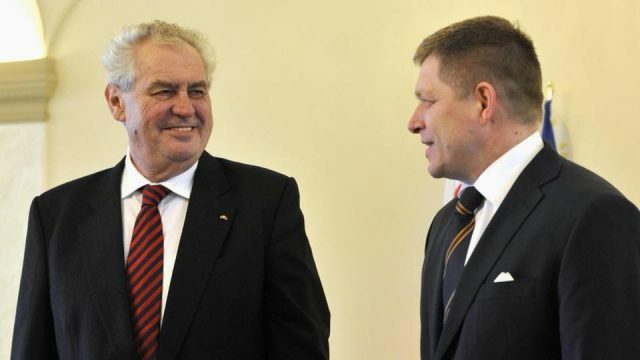 V4 Report: Slovakian PM Robert Fico says Milos Zeman will further boost special Czech-Slovak relations. Fico congratulated Zeman, a personal friend of his, on re-election immediately after the results of the Czech direct presidential race. “I am convinced that during his second term, too, President Zeman will be one of the crucial initiators of further boosting of the special and exceptionally close relations between our countries. Also thanks to Milos Zeman, we are the neighbours who always support each other,” Fico said. Fico said in both the Czech Republic and Slovakia, it is mainly less successful politicians who have been trying to divide the society. “In polarizing society, the biggest success have been the politicians who are less successful in parliamentary elections and seem to try to compensate their election failure by means of dividing the society,” Fico wrote in his response read in parliament. The V4 Report would add that the liberal media of both countries strongly contributed to this division, often pushing an agenda at odds with the beliefs of its citizens. In addition, the media – full of delusions of grandeur- habitually belittles and ridicules certain segments of society which challenge or question their “group think”. The coverage of the presidential election in Czechia was awful. In some ways, the media discredited themselves.